There are many ways that you can help. Please take a look below and see if there is something that you can do to help us enrich the lives of the children left behind!! Winter clothing collection will begin July 31, 2003! 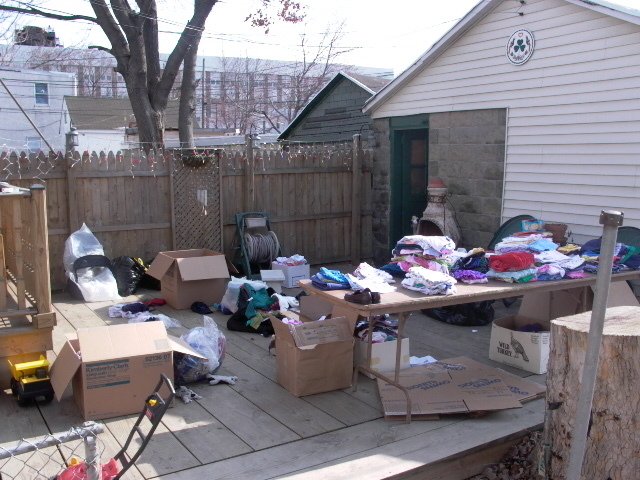 We are still in need of underwear,socks, undershirts, and leggings up to size 7/8. If you have any Little Tikes playsets that you would like to donate please contact me and we can talk about how to get it there or here. All other toy donations will be monetary and can be made by either check or a paypal donation with the link provided below. If you are in the medical profession and have extra smocks or uniforms would you consider donating them to the caretakers at these orphanages. I have seen some of these women wear the same ones day after day. Send them this way! A plus would be the ones with kid prints!! We will be building a playground at Antoshka by the end of 2004 if we are able to raise enough funds for it. We will be finding out more information on this during our upcoming trip there May 2003. Please check back with us to see how you can help. 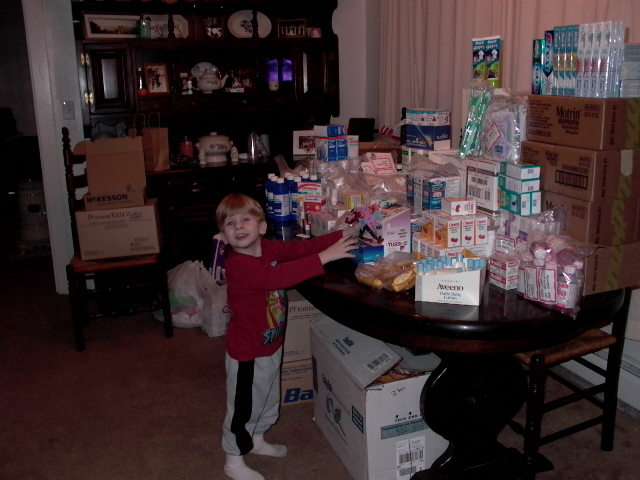 We are in need of donations to keep our shipments going!!! We have been given a great rate to ship by sea by a wonderful missionary group in the Portland OR area. They are the Nazarene Ministry of Hope. I ship the items from Pennsylvania to Oregon they are then placed in a container to take a long 4 to 6 week journey by sea. 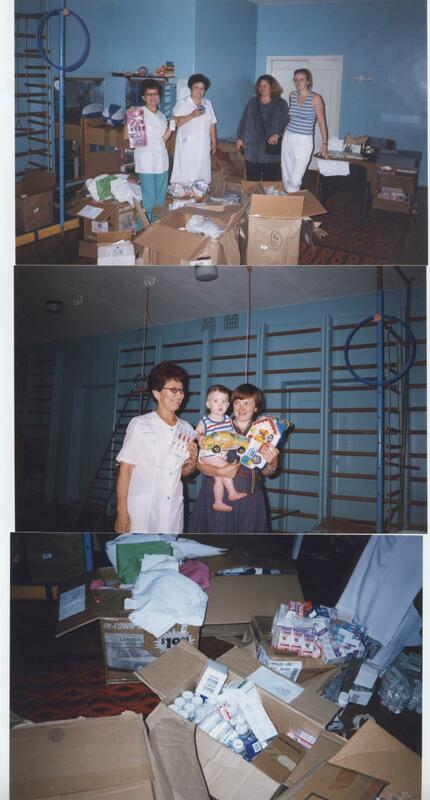 Once in Ukraine for an extra fee they are delivered directly to the orphanages doorstep. Please contact me for other delivery options. 330 lbs of Humanitarian Aid on it's way from the PHL airport! That is my husband preparing it to go! Our shipment finally arrived!!! Yeah!! After a long 4 month trip by sea, on July 16th I received word that it had arrived! Here are some pictures from that day. I will receive more pictures in the mail sometime next month and will share them when they come. Thank you to everyone who has made this possible. I look forward already to sending out our winter shipment. Although this time I will send it out early enough for them to have it by winter. You can now help us by subscribing or re-newing your subscription to Adoptive Families magazine. Go to www.AdoptiveFamilies.com and in your order form put in Karing for Kramatorsk Adoption Group partnership number P09202. Adoptive Families will donate $5.00 for every order to the Kramatorsk Orphanage Fund.